Your donation will support the food aid and rehabilitation programmes for less privileged families. Notes: All donations to MyKasih Foundation are tax deductible under sub-section 44 (6) of Income Tax Act 1967, Ref No: LHDN 01/35/42/51/179-6.6718 Government Gazette: 15360 Dated: 08/07/2010. 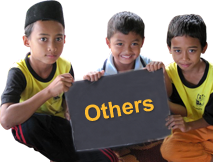 Please click here to return to MyKasih homepage. 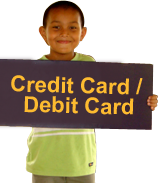 © 2013 MyKasih Foundation. All Rights Reserved.